This piece, a freestanding screen twenty-five feet wide and nine feet tall, was originally placed in front of an exhibition entrance at the Dallas Museum of Art to accentuate the act of entering the gallery. Its complex, faceted shape seems to have been pulled out of a larger wall. There are four main doorways: within each large door there are subdivisions of doors which are divided yet again. Behind this first layer of doors are two more layers, the middle of which is mirrored. 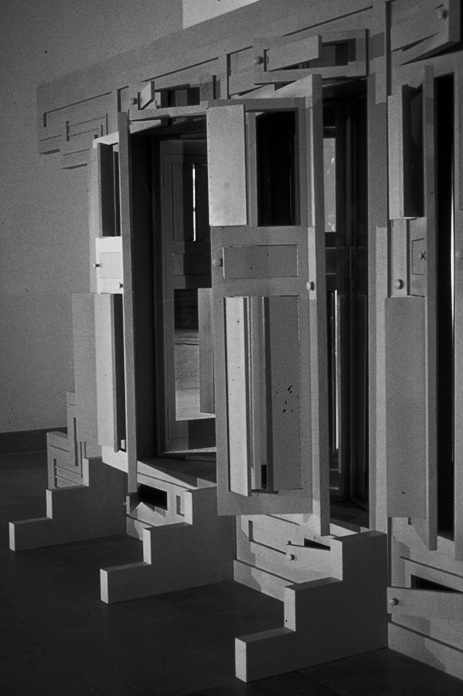 The singular clarity of a door frame is replaced with multiple fragments of incomplete frames. 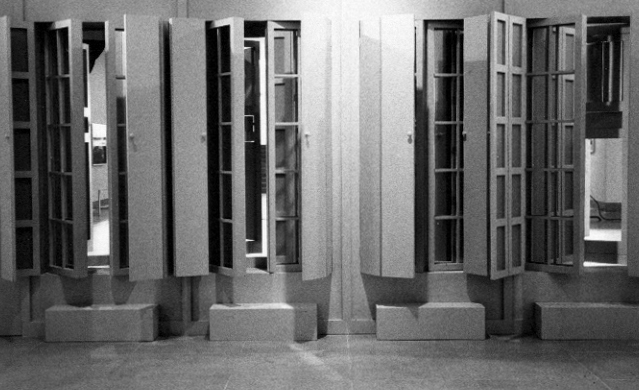 These impassable, continuously multiplying doors suggest the possibility that the visitor may never emerge on the other side. 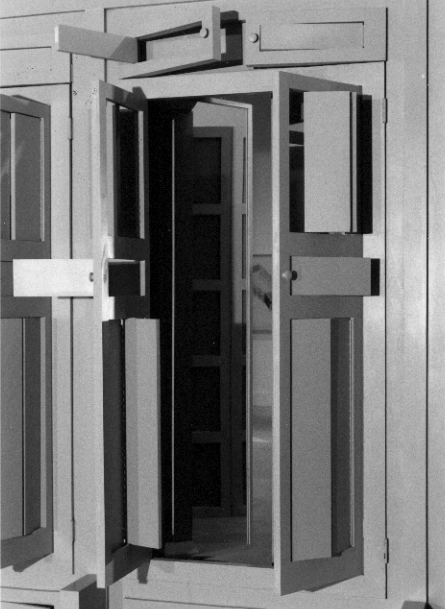 It is only after this encounter, walking to either side of the piece, that it is possible to pass through the notably simple door in the wall and into the gallery.